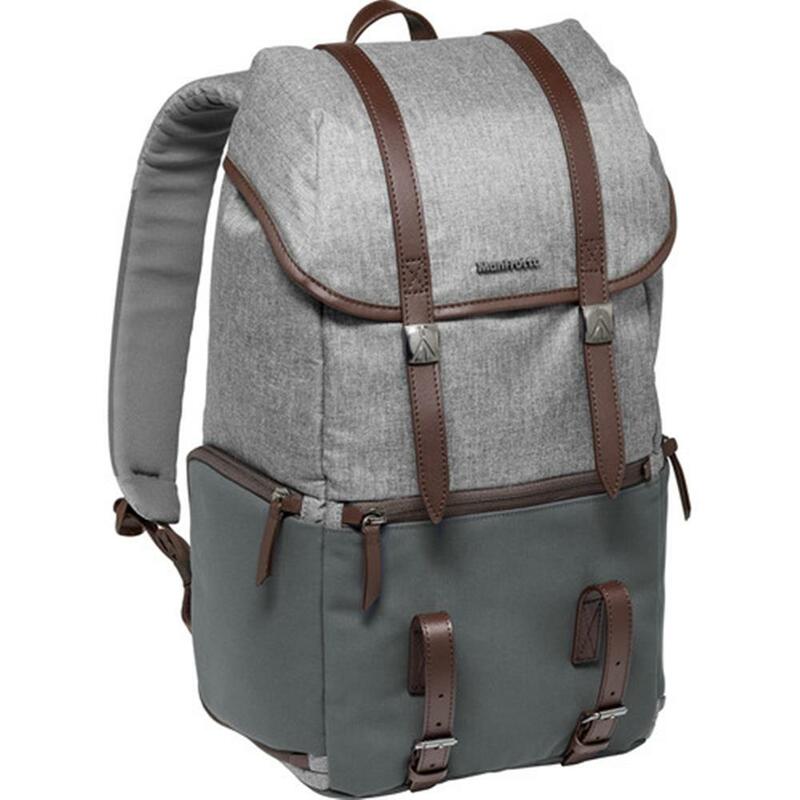 The Manfrotto Windsor camera Backpack is a stylish design classic that's perfect for carrying your gear. With its vintage look, genuine leather trims and elegant fabric combination, this backpack is the perfect choice for your field trips. The inside of the bag is enhanced by a beautiful ?tartan? lining pattern, paying sophisticated homage to timeless, British style. 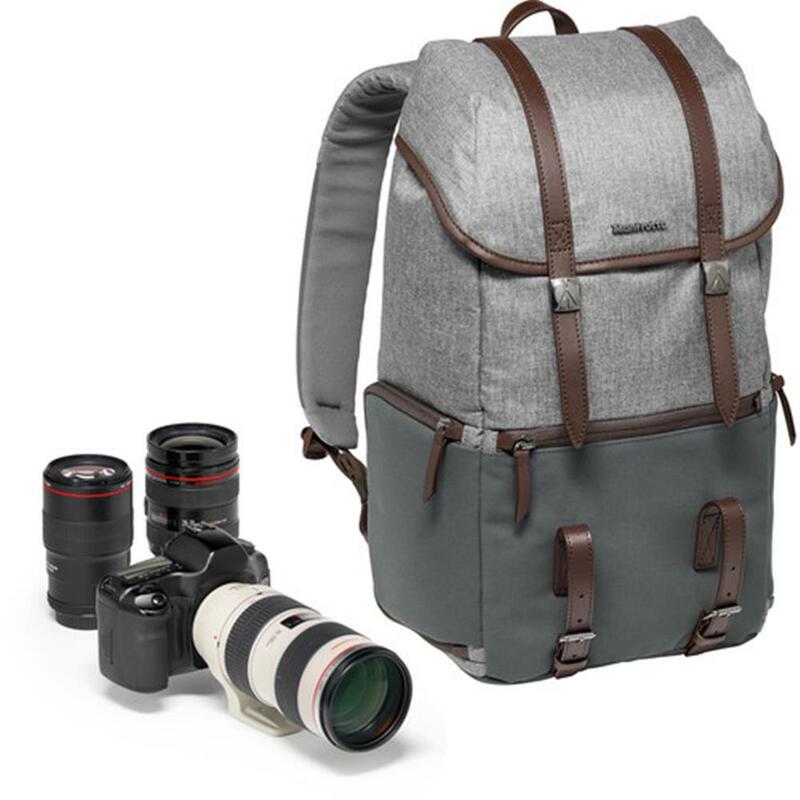 Its removable padded internal compartment fits a medium DSLR with up to a 70-200/2.8 lens attached and 2 additional lenses or a premium CSC camera with multiple lenses. 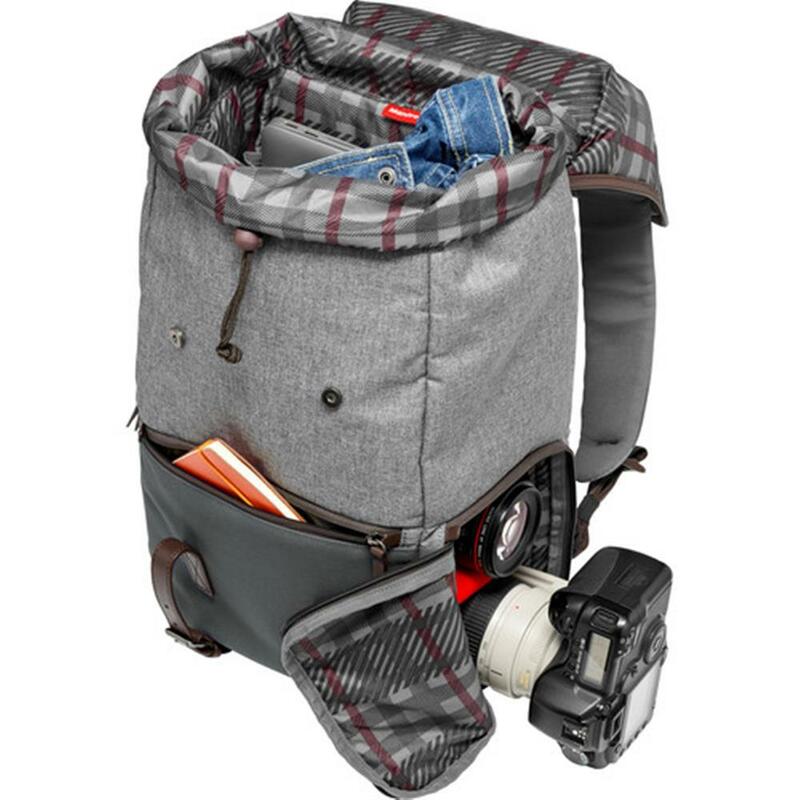 The Manfrotto Windsor Backpack is engineered with Manfrotto Protection System to internal dividers providing maximum protection for photographic equipment; lenses and accessories are kept safe in the dedicated insert. A side opening provides quick and easy access to gear so you never miss a shot. The top compartment holds all the essentials you need. 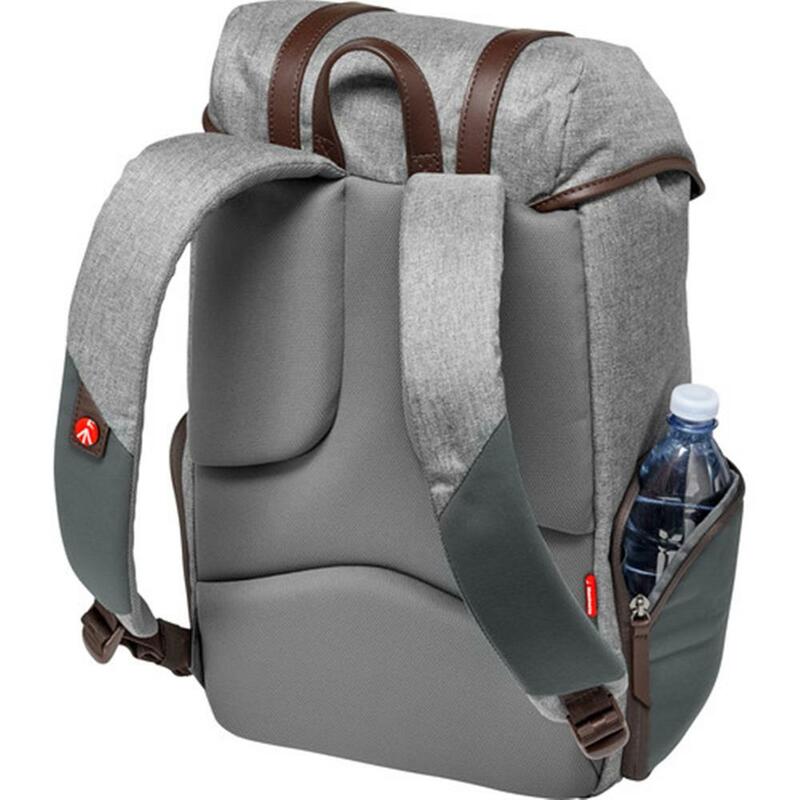 And simply remove the internal insert when you want to use it as a regular everyday bag. 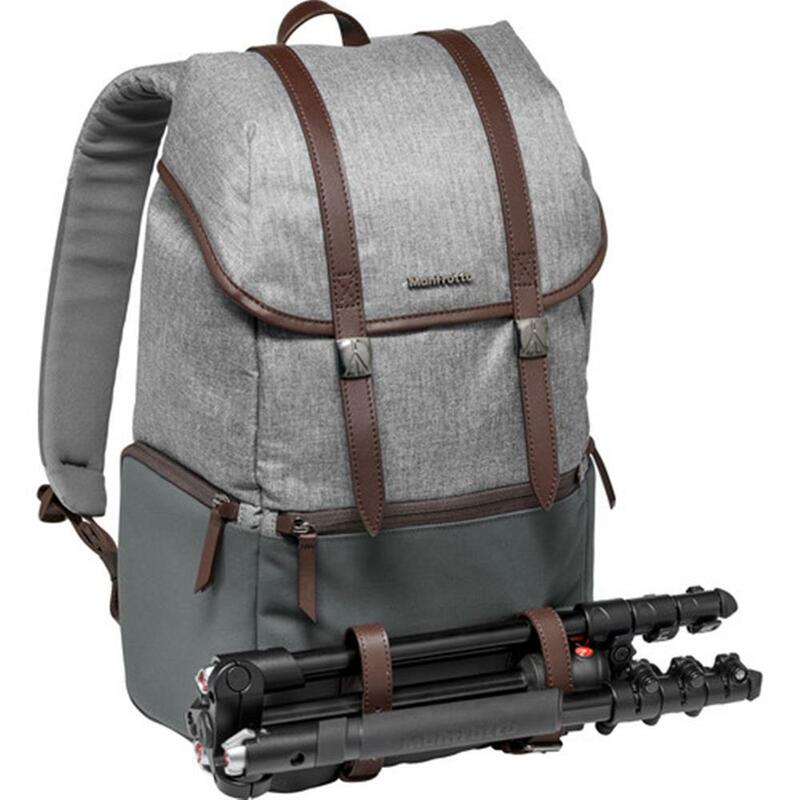 It also features a padded compartment for a 15" laptop and two adjustable leather attachments on the front to keep your tripod safely secured to the pack. External Dimensions (HxLxW): 46 x 31.5 x 22 cm / 18.11 x 12.4 x 8.66 in. Internal Main Compartment Dimensions (HxLxW): 39 x 30 x 19 cm / 15.35 x 11.81 x 7.48 in. Personal Compartment Dimensions (HxLxW): 20 x 25 x 15 cm / 7.87 x 9.84 x 5.91 in. Laptop Compartment Dimensions (HxLxW): 38 x 25 x 2 cm / 14.96 x 9.84 x 0.79 in. Camera Insert Dimensions (HxLxW): 17 x 25 x 14 cm / 6.69 x 9.84 x 5.51 in. Weight: 1060 g / 37.39 oz.